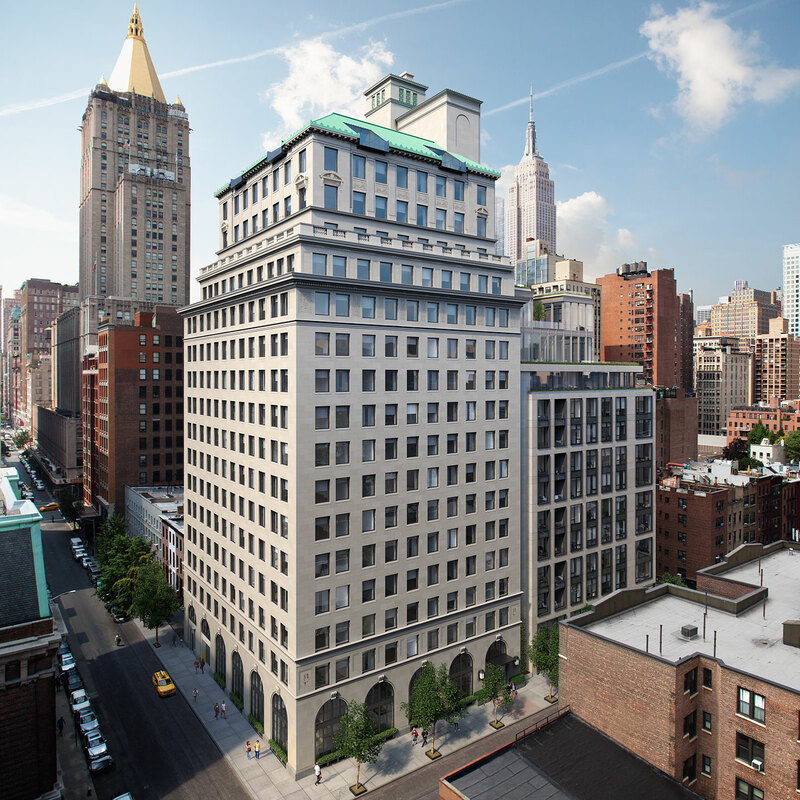 A distinctive marriage of pre- and post-war design comes to life at 88 & 90 Lex, with the combination of two adjacent buildings in the stylish NoMad neighborhood of Manhattan: an Art Deco masterpiece built in 1927 featuring fine pre-war detail, and a modernist volume built in 1958 showcasing midcentury simplicity. 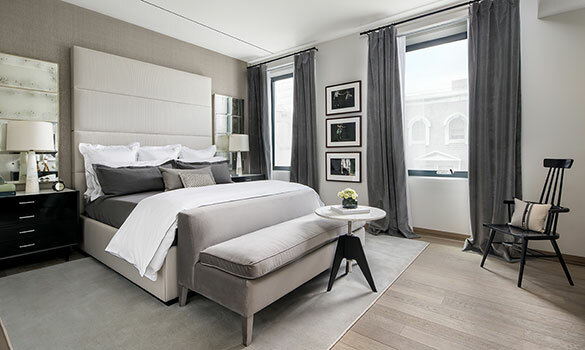 88 & 90 Lex offers 118 distinctive one- to four-bedroom condominiums designed to fit residents’ individual stylistic preferences, with interiors and a top-tier amenity suite reimagined by design firm Workshop/APD. 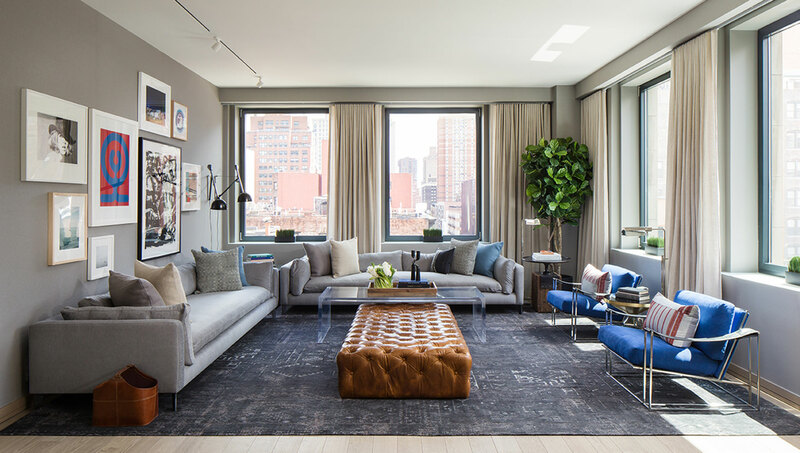 Nearby, residents can enjoy famed Madison Square Park, fine restaurants, and world-class shopping along with easy access to the Downtown and Midtown business districts. An aluminum entry canopy marks the entrance to the new, shared lobby outfitted in white terrazzo, backlit perforated steel, white Cararra marble, and fumed grey oak, attended by a 24-hour concierge. Two separate elevator bays lead to each building while a sculptural staircase connects the lobby to the amenity suite below, featuring an L-shaped swimming pool with a hot tub, a fitness studio, a steam room and sauna, a residents’ lounge with a catering kitchen, media center and game tables, a screening room, and a children’s playroom. 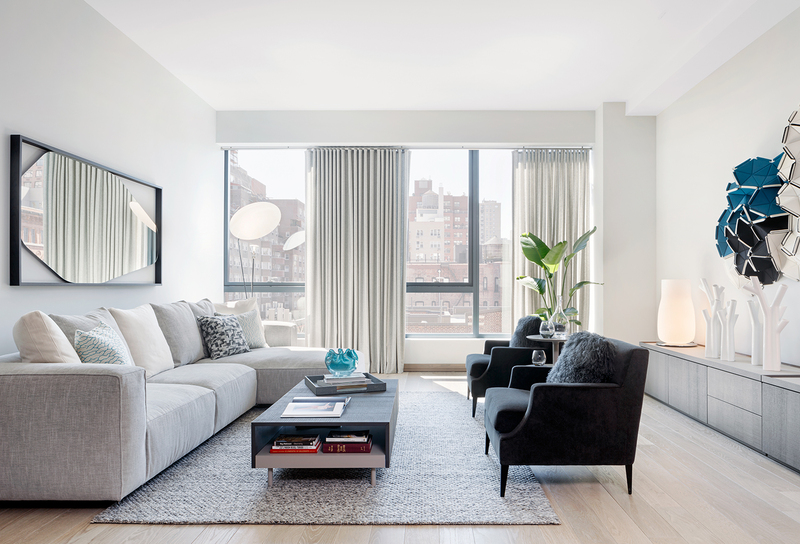 Loft-like residences feature grand, open spaces and showcase updated details such as painted entry doors framed in blackened steel, European oak floors in a fumed gray finish, custom door trim and baseboards, and ceiling heights that top ten feet in primary rooms. 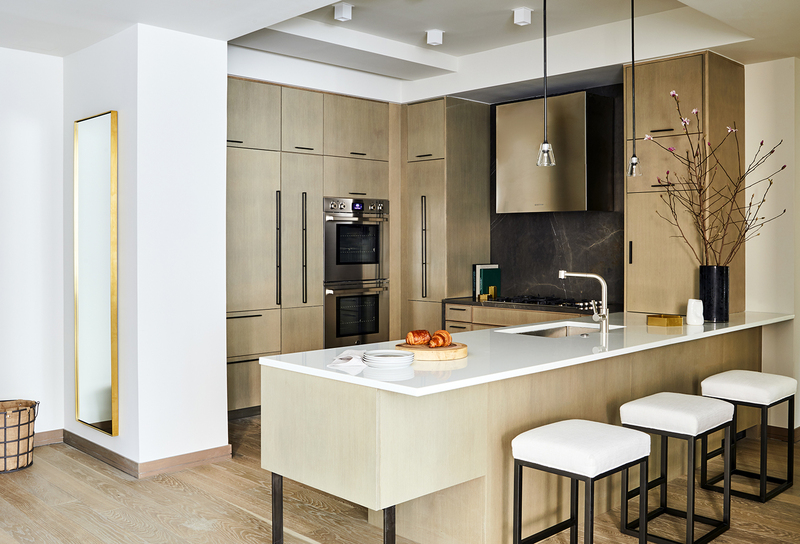 Open kitchens complement a neutral palette of fumed gray oak millwork, polished glass composite slab countertops, and an antique grey marble slab backsplash, featuring appliances by Bertazzoni, Subzero, and Bosch. Dramatic master suites are graced with high ceilings, large windows, and luxurious baths replete with honed French limestone tile walls and radiant heated floors, a travertine stone slab feature wall, and a smoked oak vanity. Bright city views showcase landmarks like the Chrysler Building, the Empire State Building and the New York Life Building. The complete offering terms are in an offering plan available from the Sponsor. File No. CD13-0277 and CD13-0276. Equal Housing Opportunity.